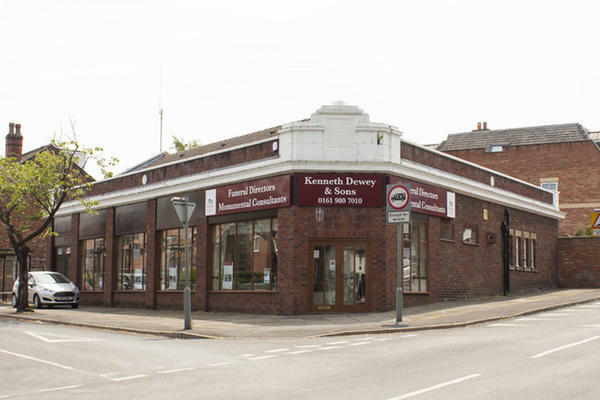 We are Kenneth Dewey & Sons Funeral Directors in Altrincham. With uncompromising kindness and professionalism, we will arrange a beautiful funeral service to pay respect to the life of your loved one. It is paramount to us that we tailor every detail of the funeral service to be personal and meaningful to you, your family and your loved one. We will listen to your every wish with careful consideration to make things are just as you want them to be, and give you guidance wherever you feel necessary. Call us today on 0161 980 7010 to talk through your personal requirements. At Kenneth Dewey & Sons Funeral Directors, we understand how special life is with those that you love. For us, every funeral is unique and personal. We have a service to fulfil every wish, with every detail carried out with the same uncompromising quality of care. From a traditional service, to a colourful woodland burial, your options are limitless with our Full Service Funeral. If you have a little more flexibility when it comes to arrangements, then we can provide a Simple Funeral for a lower cost. You can park for free at the front of our funeral home. Adjoining streets have no parking restrictions. Please give us a call if you need advice on directions. Our staff are available 24 hours a day on 0161 980 7010 if you require our services outside of these hours.